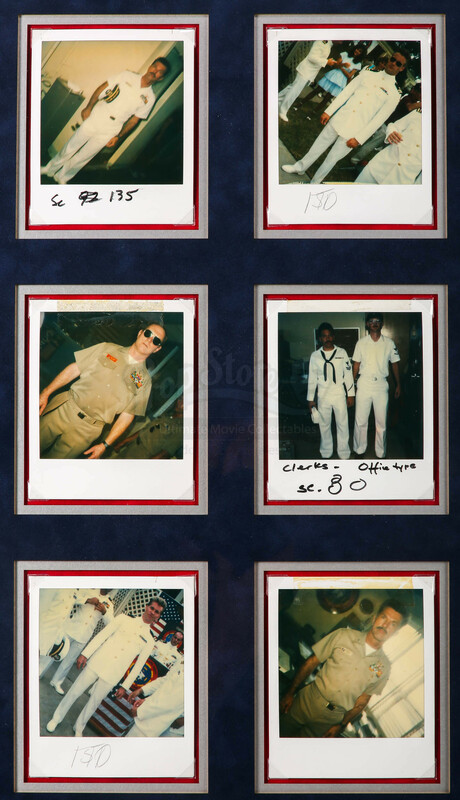 A rare set of continuity Polaroids from Tony Scott’s 1986 cult action film Top Gun. 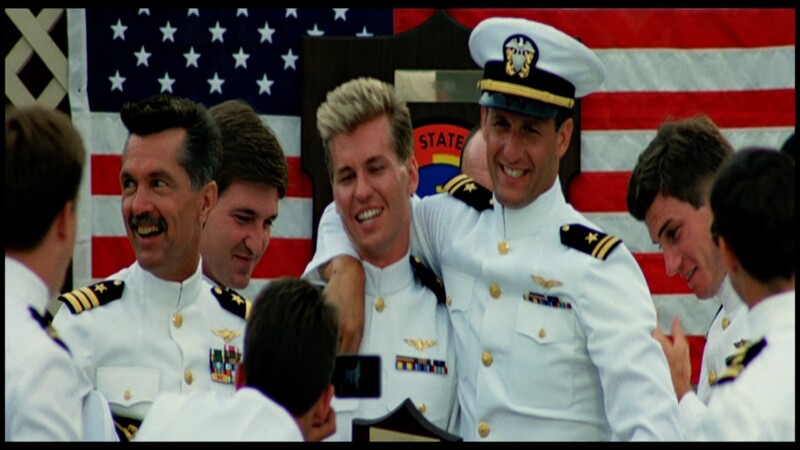 A group of students at the US Navy’s elite fighter weapons school compete to be the best pilot in the class, and the hotshot Maverick (Tom Cruise) falls for a civilian instructor, Charlie (Kelly McGillis), who teaches him a few things outside of the classroom. 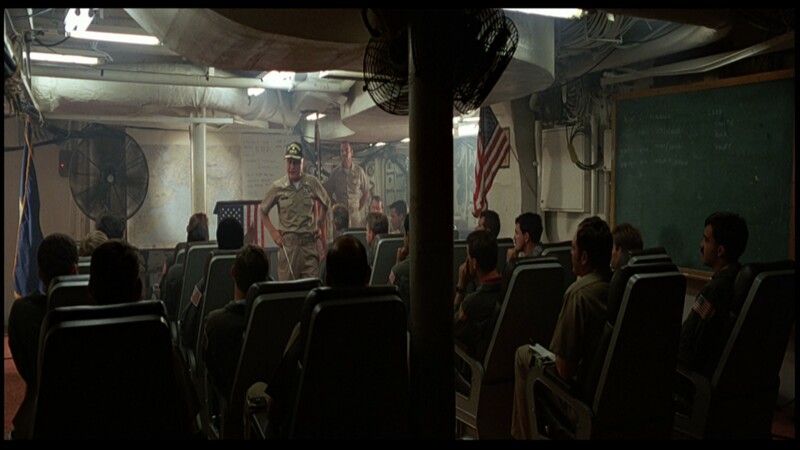 The purpose of these pictures was to assist the production in keeping the continuity perfect throughout the movie. 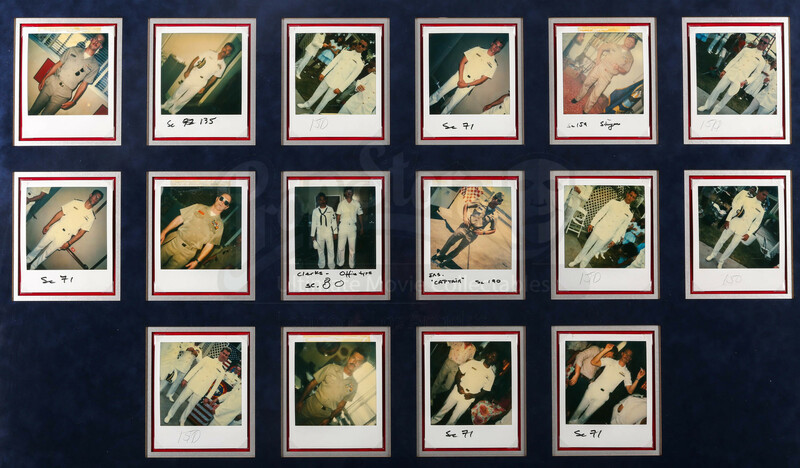 They are a record of exactly what each character looked like in that costume, with these photos showing different characters – including Goose (Anthony Edwards), Iceman (Val Kilmer), Viper (Tom Skerritt) and Stinger (James Tolkan) - in their navy uniforms and crisp white dress uniform and medals, and include handwritten notes at the bottom. 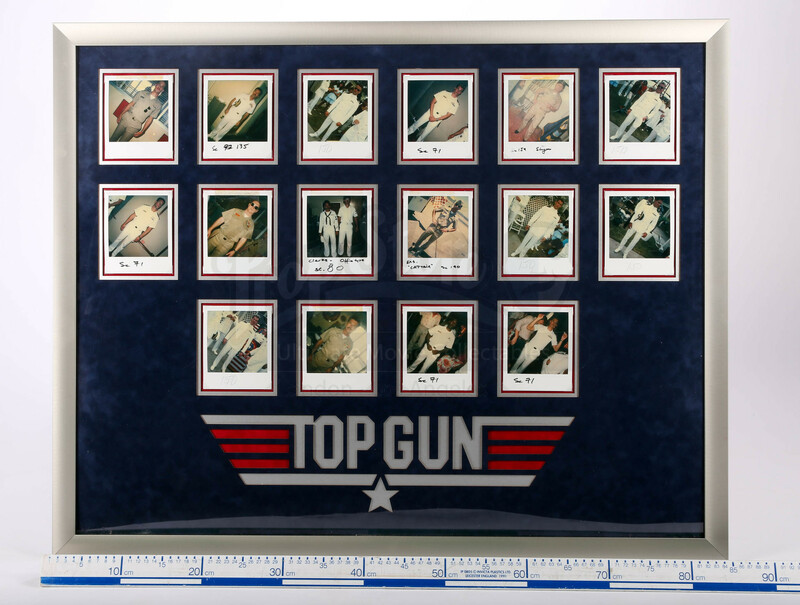 With sixteen photographs in total, they create an impressive collection, and come presented in a custom-built display featuring the iconic Top Gun logo, using acid free adhesion to ensure minimum impact on the photos. Overall it is in excellent condition. 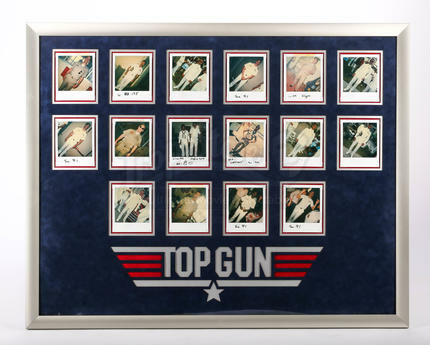 Materials: Ferrous Metals, Card, Paper, Acrylic.